"Thai-inspired, the star of this dish is the creamy coconut-based dressing infused with lemongrass, Keffir lime leaves, ginger and shallots, balanced with a touch of tamarind, fresh lime juice, toasted sesame oil and soy sauce. All of the flavours are enhanced through the reduction of the coconut milk. 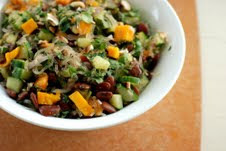 Here, the dressing is used to bathe a kelp noodle salad with chopped mango, cucumber, lima beans along with mint, cilantro and cashews." 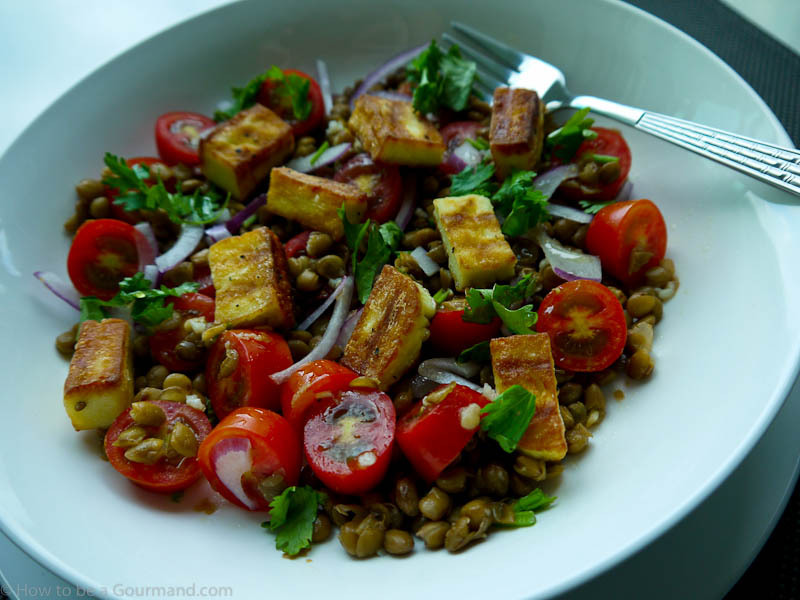 Jacqueline (How to be a Gourmand) for her fabulous Warm Halloumi, Lentil and Tomato Salad. Your winning badge is winging it's way to you as we speak. For the next edition of No Croutons Required, head over to Lisa's Kitchen. oooh haloumi is the BEST! I am so pleased for Jacqueline as we tried this salad and it was incredible and will be made regularly from here on in - I've even given my mother the recipe as she doesn't do computers! 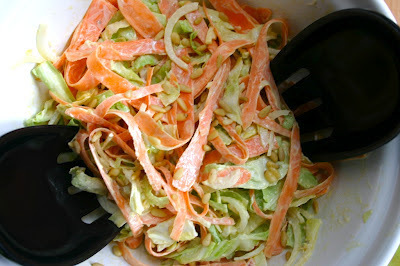 My mouth is watering too just looking at this salad. I had something similar in a restaurant recently but with the addition of roasted butternut squash, it was fantastic. I will be recreating this some time soon! That does look seriously appetising. A very worthy winner.